Serendipity Travel is a travel agency that serves as a superb catalyst for out bound travel and tourism and caters for in bound tourism as well. Its head office is situated on the East Coast of South Africa’s rapidly growing cosmopolitan city, Durban in KwaZulu-Natal. Serendipity Travel is part of the Serendipity Worldwide Group which is the leading travel brand in the Province of KwaZulu-Natal. 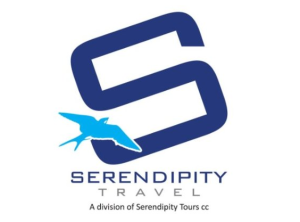 The Serendipity Travel team was well represented by Donovan and Carol who demonstrated the excellence the passion of Serendipity Travel to “Making unforgettable memories” through great case studies of past clients. They are members of IATA & ASATA and are a highly respected, multi award winning company, with well-deserved accolades from a variety of top airlines.